The time is just slipping away from me!! I had every intention of doing my own version of these cards below and give instructions, but sadly my time has not been my own these past few days. These cards are adorable!!! I found them on a blog at alltarynne.blogspot.com. I especially love the reindeer one. 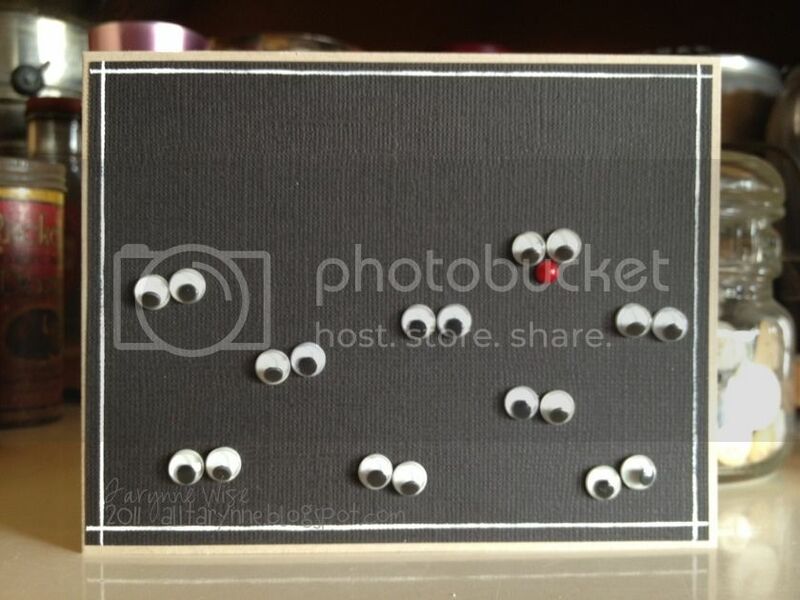 It caught my eye because 1-I love googly eyes and 2-I hadn't seen anything like it before. 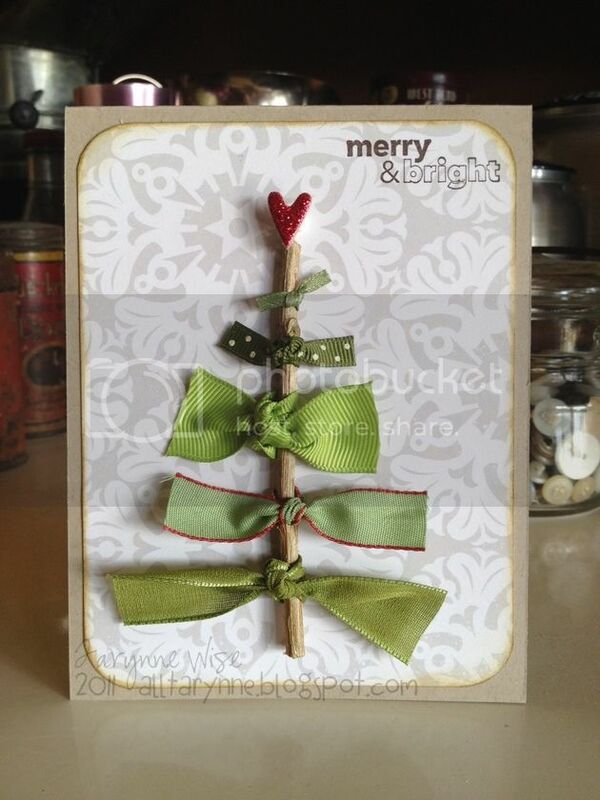 And the christmas tree is perfect for using up left over ribbon. I hope you enjoy and get inspired to make them. Happy scrapping!! These are too cute!! I have a few more cards to make. I may use the tree idea! Thanks. Really cute ideas! The reindeer is so cute! Thanks for sharing!